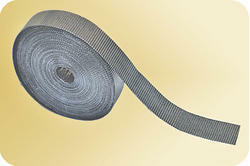 Grafseal gasket tape, as all graphite product, is self-adhesive. It has extremely good elasticity, compressibility and can form a perfect seal even at elevated temperature and pressures generally encountered in the industry. ver-ending demands of customers, we are involved in offering a wide range of Neoprene Gasket Tape . A High/medium density cross linked EVA/PE/Nitrile/Neoprene/ EPDM Foam is coated with different type of adhesive such as Hot melt/rubber & solvent based as per requirements. Service Media: Super heated / Saturated steam,Oxidizing fluids and gases,Hydro carbons,Dyes & Chemicals etc. 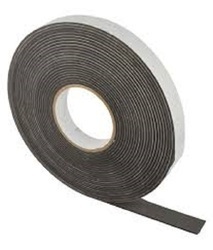 Gasket Tape is known for its excellent sealing capacity and corrosion & radiation resistance. It finds wide industrial applications construction sector, chemical industry, space navigation, transport etc. We are offering Foam Gasket Tape to our clients. A solution to hold a die-cut gasket in place for assembly or dress a gasket to improve its sealing characteristics, we provide premium gasket tapes with improved functionality.